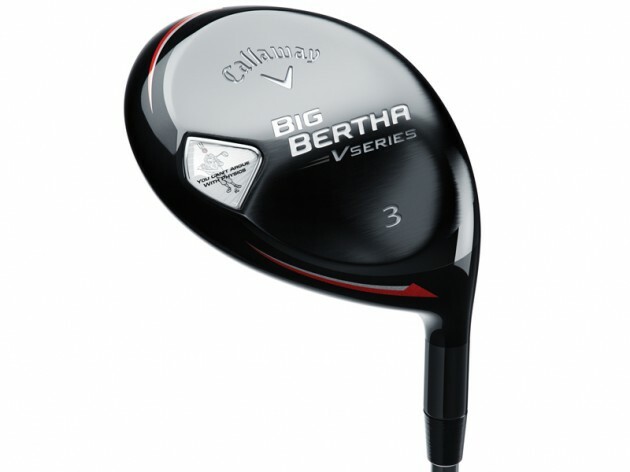 The Big Bertha V Series fairway wood features Speed Optimised Technology. This is where the maximum clubhead speed comes from for superior ball speed and greater distance. You can thank the advanced, lightweight aerodynamic clubhead for that, and the lightweight shaft promotes faster speed. A Hyper Speed Face ensures higher ball speeds across the face for longer, more consistent distance. A modern Warbird soleplate also increases versatility from everywhere, with an updated design that builds off of one of the most versatile fairway woods ever made. The higher launch angle helps make this our most forgiving Bertha fairway wood. A little bit too much glare at address, like the Big Bertha before it, but it has a classic fairway look about it. The face is framed very well by the lines and graphics. The sole has much more of an original 'Big Bertha' look to it and all testers respected that. Very light feeling head and shaft combination, as anticipated, but as a result, three testers enjoyed significant increases in their Swing Speed and ball speed. Each tester claimed the club felt solid and generated good feel through impact. One tester thought the head and shaft combination was a little too light. Nice solid sound at impact and good feedback on off-centre hits. Very easy to shape thanks to the new modern Warbird soleplate and two testers saw a dramatic increase in their swing speed and ball speed, aided by the improved Hyper Speed Face, and no doubt light aerodynamic head. Decent, low spin rates across the board, too. Much longer than the Big Bertha fairway wood before it, even when 0.5-degree up - each tester was carrying the ball on average five to eight yards longer than the Big Bertha. Each tester managed an average carry of 224 yards or longer off the deck with this one. All testers agreed it wasn't any more forgiving, though. One of the longest performers in our test and again, very forgiving like the Big Bertha before it. The overall head design and feel is particularly light, but certainly easy to control through the swing and at impact. A little more expensive than the Big Bertha fairway but all testers agreed V Series was definitely worth spending the extra tenner because of the additional ball speed you'll gain.